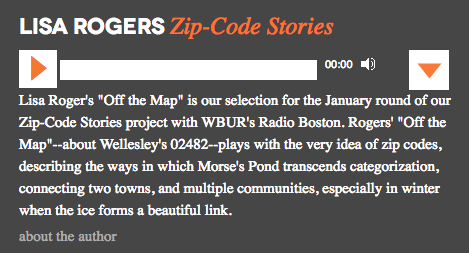 This essay about the special qualities of my pondside neighborhood west of Boston won the January 2012 Zip-Code Stories essay contest sponsored by WBUR and The Drum Literary Magazine. Listen to the essay and an interview with me on WBUR's Radio Boston here. Listen to the full essay on The Drum or click the image below. "Off the Map" also was published in the Summer 2012 edition of WellesleyWeston Magazine. View the online version here. I wrote this essay for Julie Hedlund's 12 x 12 challenge about how my daily newspaper reporting and editing job was great training for writing children's books. Essay about the quirky summer jobs I held—or didn't—at my beloved Jersey Shore. Published in ​Firsts: The Writers' Loft anthology, 2016. Every dog has its dreams. 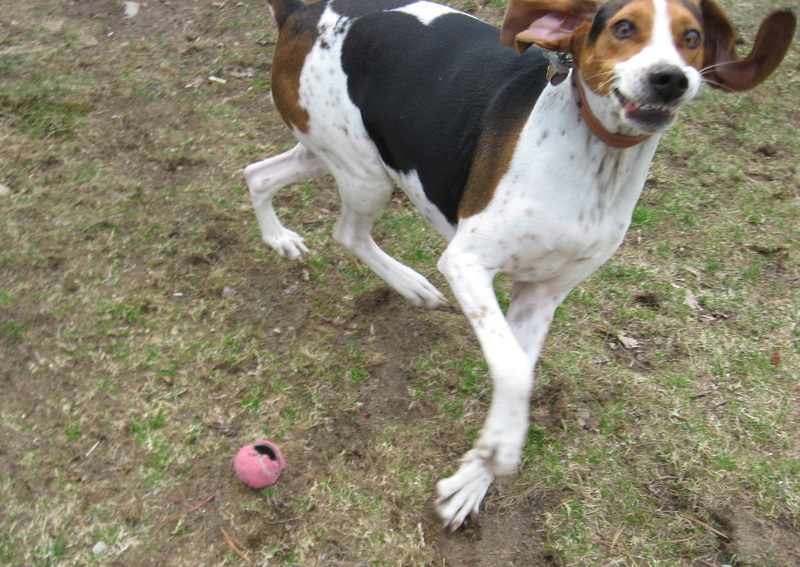 My Treeing Walker Coonhound, Tucker, dreams of sleeping, eating, running wild, then sleeping and eating again. In the meantime, he's a local landmark as he drags me through several counties on some very looong walks. His goofy take on life is the stuff of this blog. 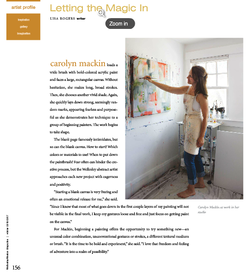 "Letting the Magic In" featured abstract artist Carolyn Mackin in WellesleyWeston Magazine's Winter 2016-2017 issue. 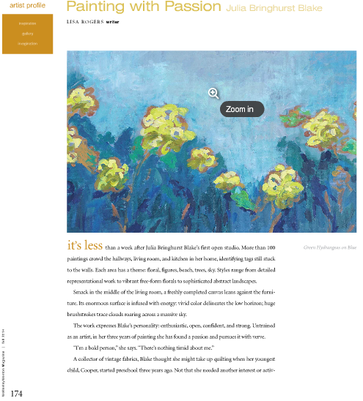 "Painting with Passion" explored the work of representational artist Julia Bringhurst Blake in WellesleyWeston Magazine's Fall 2014 issue. ​"Painting a Portrait" gave me an inside look at artist Jean Wiecha's process as she painted my own portrait, for WellesleyWeston Magazine's Summer 2017 issue. "Fantastic Shapes and Colors" focused on the abstract reliefs of Weston, Mass. artist George Creamer for WellesleyWeston Magazine's Winter 2017-2018 issue.